Get in the mood for Spring with this month’s Glossybox! They are running two lovely Spring themes for April, so you’ll receive either a Fruity or Floral edition – both of which will be packed with beauty products to help you look bright and refreshed. 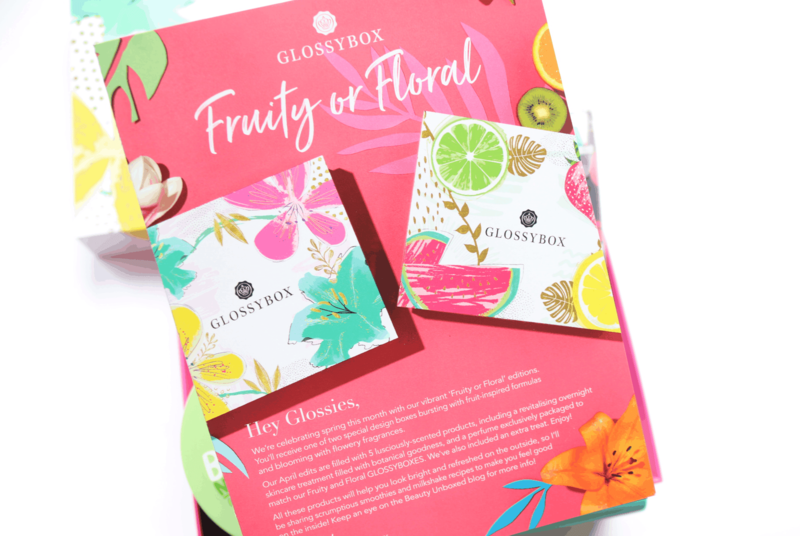 I was pleased to receive the Floral Glossybox edition this month, so if you’re curious to find out what’s inside, keep on reading! If you’ve been looking for a new Spring fragrance to try out, look no further – Glossybox has included a full-size Eau De Parfum from the French fragrance brand, Jeanne Arthes. 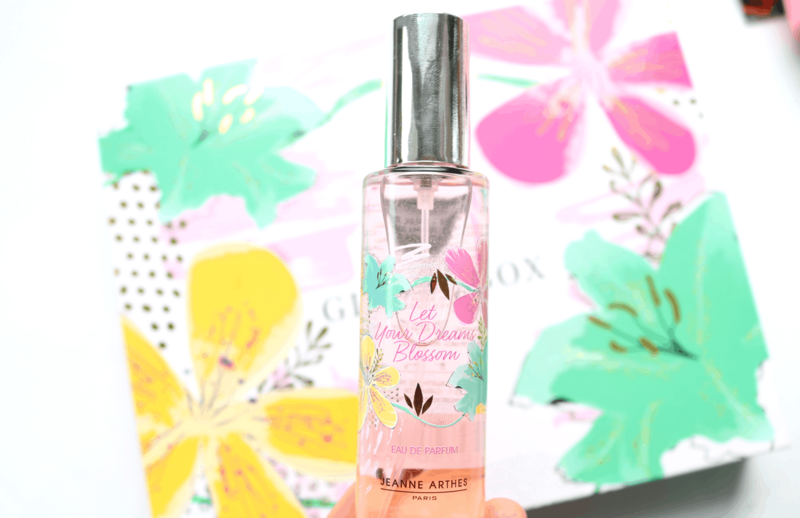 Named ‘Let Your Dreams Blossom’, this perfume is bottled in bespoke floral packaging and boasts a gorgeous woody and floral fragrance with notes of soft Rose Petal, Cedarwood, Lily, Freesia and Amber. It’s literally Spring in a bottle! 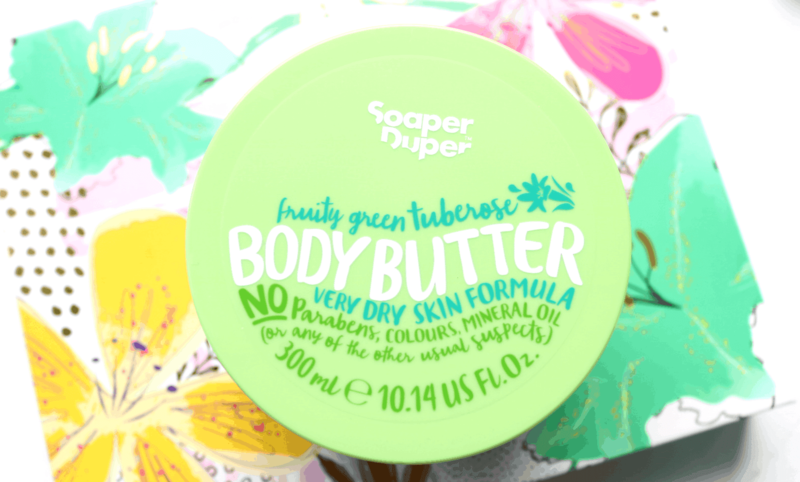 Depending on which box you receive this month, you’ll find a huge full-size tub of Soaper Duper Body Butter in either the Zingy Ginger or Fruity Green Tuberose scent. I received the latter and it smells incredible! Formulated with 97% naturally derived ingredients, this 100% vegan and cruelty-free body butter contains Shea Butter and Macadamia Oil to deeply nourish and hydrate very dry skin. 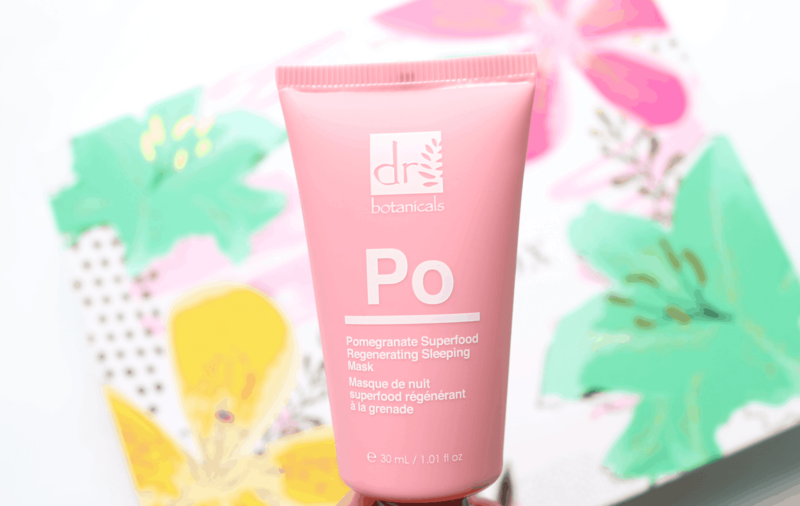 Moving onto skincare, I found a deluxe mini of Dr Botanicals Pomegranate Superfood Regenerating Sleeping Mask. Rich in moisturising Pomegranate extracts, this all-natural and vegan-friendly formula gives your skin a real hydrating boost overnight so that your complexion is nourished and glowing come the morning. I’m very excited to try this! 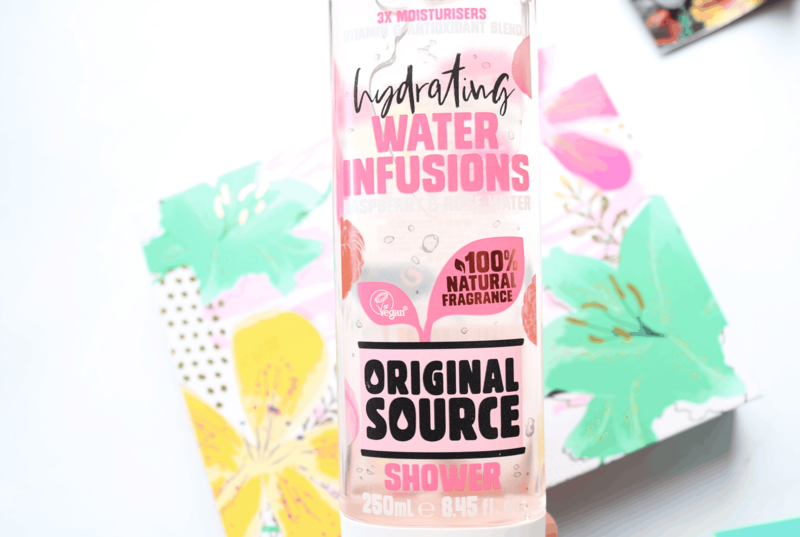 Next up, there’s a full-size bottle of Original Source Shower Gel in their new Water Fusions Raspberry & Rose scent. Suitable for vegans, free from parabens and containing 100% natural fragrance, this hydrating body wash is infused with vitamins, antioxidants and natural moisturising ingredients for a luxurious shower experience every time. 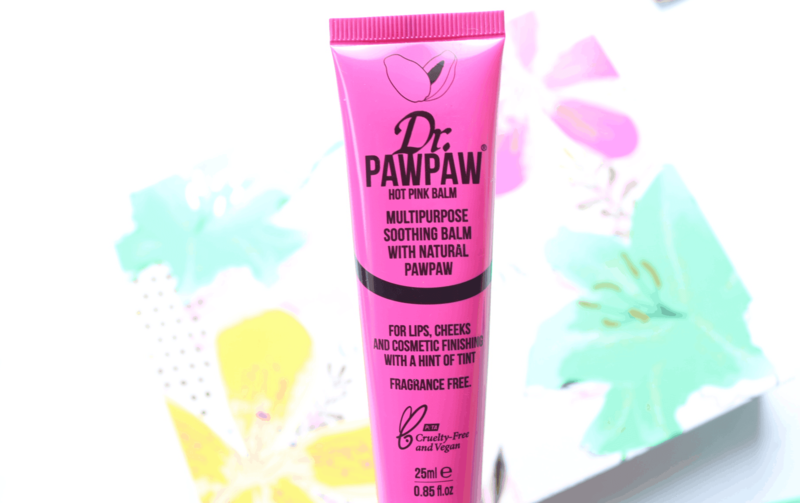 For a spot of makeup this month, Glossybox have included a full-size tube of Dr Paw Paw’s Hot Pink Balm, a moisturising fruity lip balm that’s based on the same Original Paw Paw Balm formula, but with an on-trend hot pink tint added to it. Perfect for Spring and Summer! To finish off the box, Glossybox have added an extra bonus item so that you can really treat yourself! 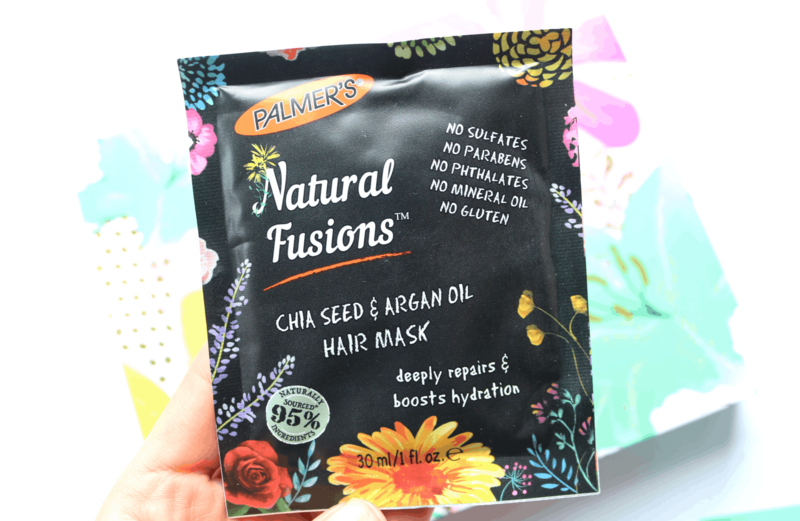 This intensive hair mask features Chia Seed and Argan Oil to deeply condition, hydrate and repair dry or damaged hair, leaving it silky soft, glossier and more rejuvenated. Special reader discount code! 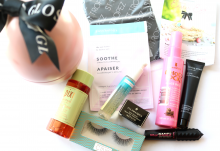 Use our code ALLSUBS20 to get 20% off your first Glossybox! The perfect beauty box for Spring - get your hands on one from Glossybox today!